A well-known Chinese curse goes like this “May you live in interesting times”. With elections round the corner, markets getting into a euphoric zone and the cricket crazy nation all set to watch another IPL extravaganza – things just cannot get more interesting that this for now. For the news hungry media there is so much to write about, talk, discuss and debate. No day will ever end without any so-called BREAKING NEWS!! Today’s round-up is quite similar to what happened yesterday. In fact, things were a lot better and lot bigger compared to yesterday with reference to the stock markets. 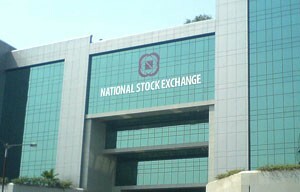 The Indian share markets are now treading in un-chattered waters, the BSE Sensex ended at a fresh record high for the second straight day on the back of relentless buying support by the foreign investors. The so-called firangis‘ have so far invested Rs 5,630 crore till date in the equity markets. 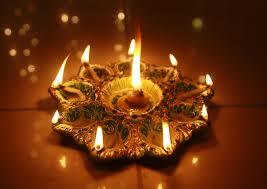 The Indian Rupee too pierced the 61-mark in intra-day deals thanks to the strong FII inflows. 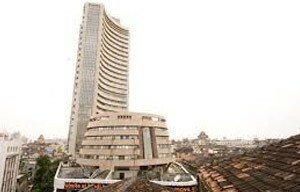 The BSE index zoomed to a high of 21,961, and finally ended with solid gains of 406 points at 21,920. The Nifty zoomed almost 2 per cent to 6,527. 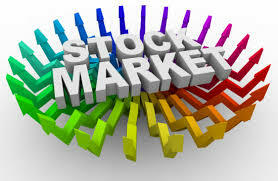 The broader markets, however, under-performed the benchmark indices and finished on a flat note. Among sectors – the Bankex and Realty indices zoomed 5.5 per cent each to 13,567 and 1,359, respectively. The Capital Goods index also surged 4 per cent to 11,221. On the other hand, the Health care and the IT indices dropped 2 per cent each to 10,370 and 9,520, respectively. BHEL, ICICI Bank, Axis Bank and Reliance were some of the major gainers today. Click Here to read the Live Commentary for the entire day proceedings. In major economic news, a report released by British oil major- BP – indicated that energy demand by India will be highest among all countries at 132 per cent, with oil imports likely to rise by 169 per cent and account for 60 per cent of the total imports. Back home, our Finance minister P Chidambaram said that the economy was in better shape that it was 18 months ago when he took over the reins. The RBI governor, who was also present at the forum, when asked about new bank licences, replied that they should happen in the next few weeks after seeking Election Commission’s approval – as the Code of Conduct is in place for the upcoming 16th Lok Sabha elections. In other news, the Supreme Court refused to accept Sahara Group’s proposal for refunding money to investors. The Court said that the proposal was not proper and asked the group to come up with an honourable proposal. Sahara group had proposed to pay Rs 17,400 crore in six instalments, while Sebi has claimed that the dues with interest now amount to Rs 37,000 crore. Meanwhile, Subrata Roy’s stay in the Tihar jail has been extended at least till Tuesday, when the Court will sit to here its bail plea. That’s all for now. Have a nice weekend, till me meet again for the next round-up on Monday.